Turn any pair of running shoes into ice grabbers. 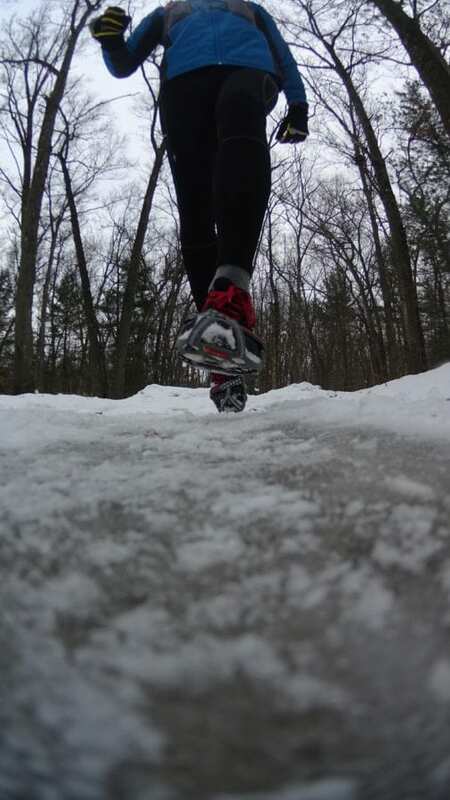 With the Yaktrax Run, ice and snow can no longer be a deterrent to getting outdoors to do some winter running. Slip the Yaktrax Run onto any existing running shoes, and you will be able to take off and run in the iciest of conditions. If you are like me, running on a treadmill just doesn’t cut it, I need to be outside and among nature, breathing in that fresh air, no matter the weather. 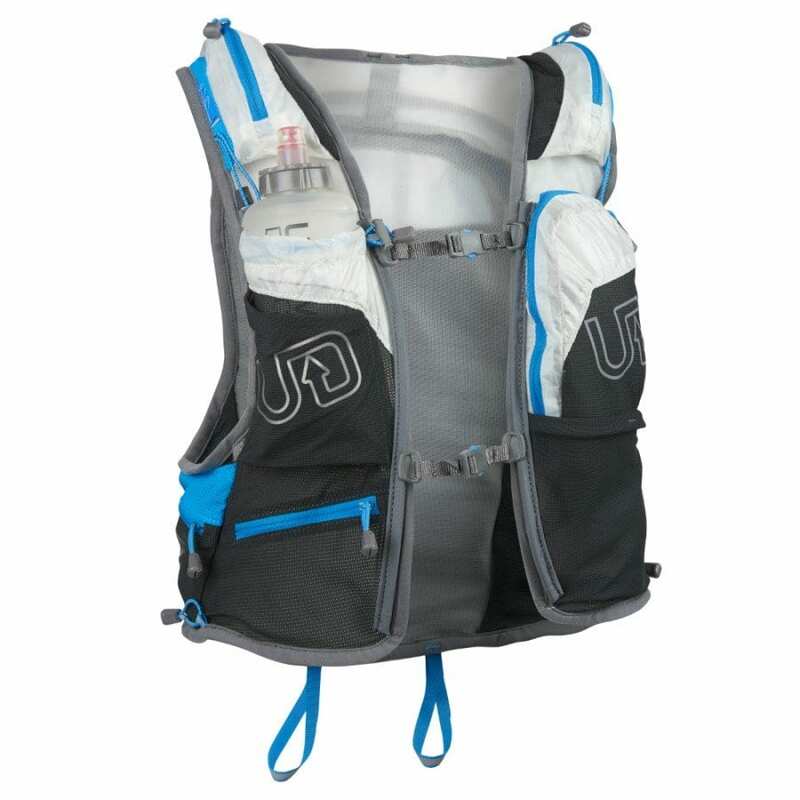 Sometimes those conditions can make running a bit difficult. 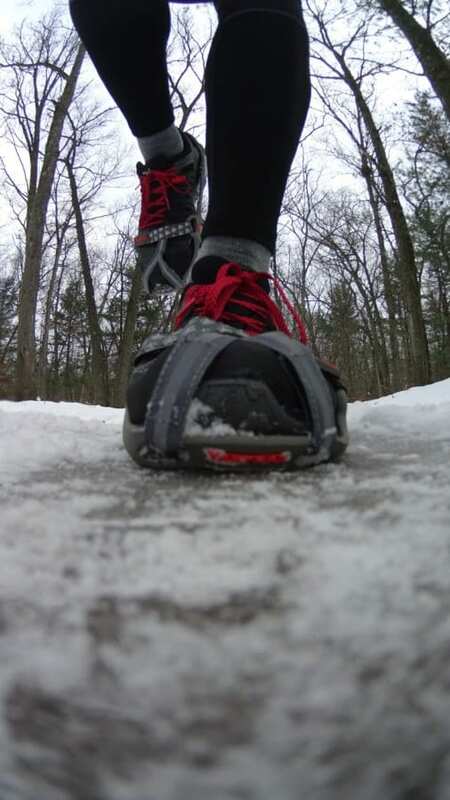 Namely, winter running, most of the time I can get by with a decent pair of lugged trail running shoes for most winter conditions. However, there are times when the roads and trails are covered by smooth ice and/or a thin layer of snow and trying to run on this surface creates a scene right out of Disney’s Bambi movie. 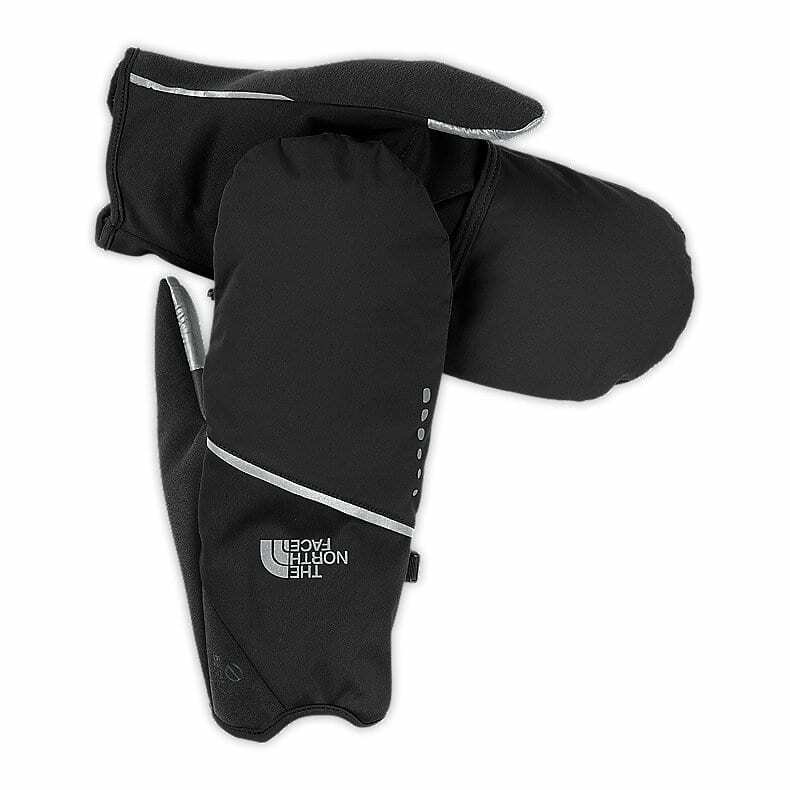 This is where adding some additional traction to your running shoe is extremely helpful. 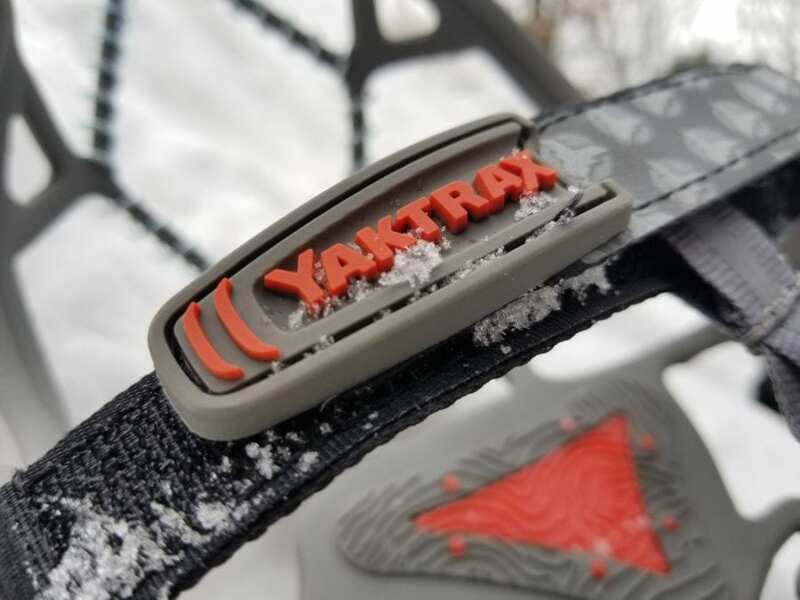 Enter the Yaktrax Run. 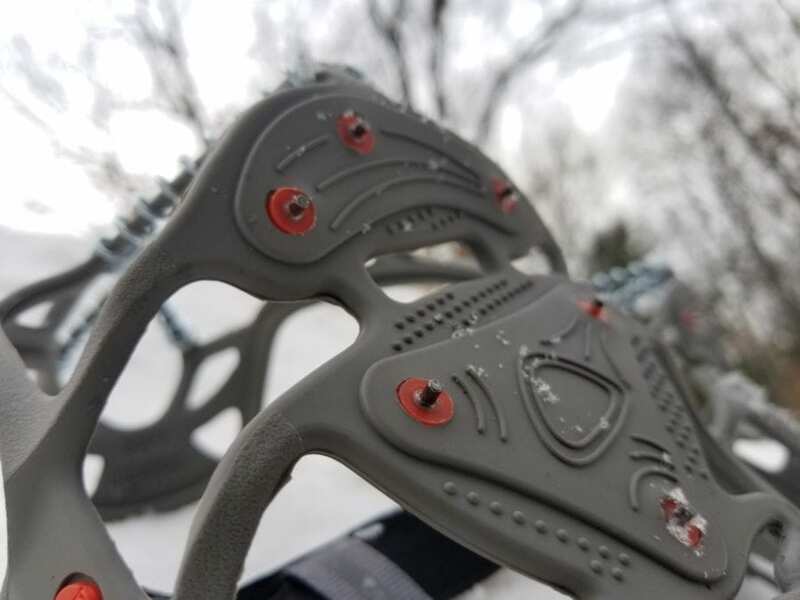 The Yaktrax Run has a combination of replaceable forefoot spikes and rear steel coils, providing 360° of winter traction. 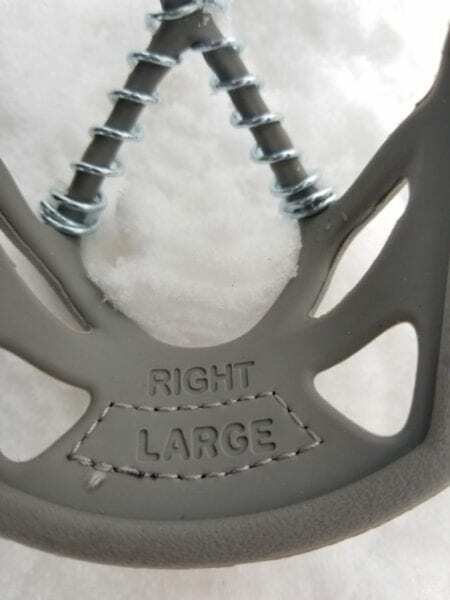 The Yaktrax is anatomically designed and very easy to put on. Simply toe in the front of your running shoe and stretch the Yaktrax around the heel of your shoe, adjust the front velcro strap to secure the Yaktrax in place and you are ready to get outside and take on the snow and ice. 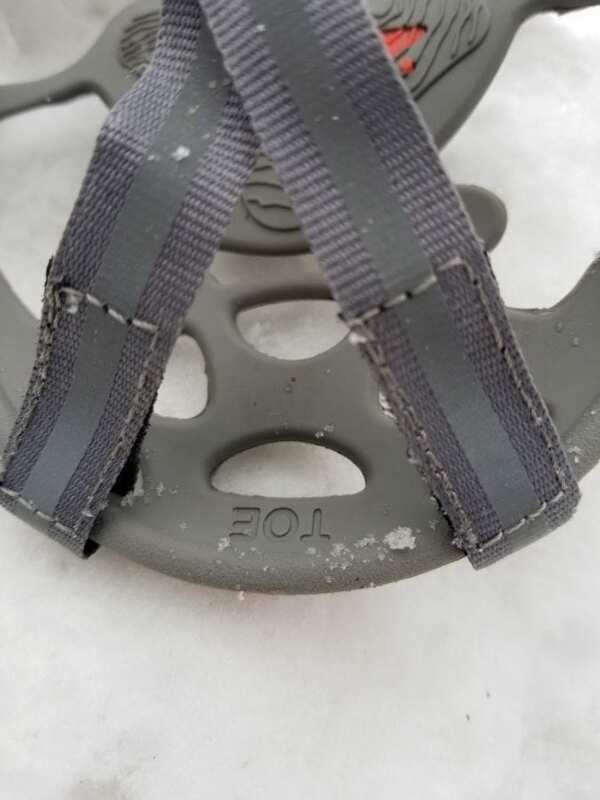 While running along at my normal pace, the carbide steel spikes and 1.4 mm steel coils were able to grip the ice with ease. 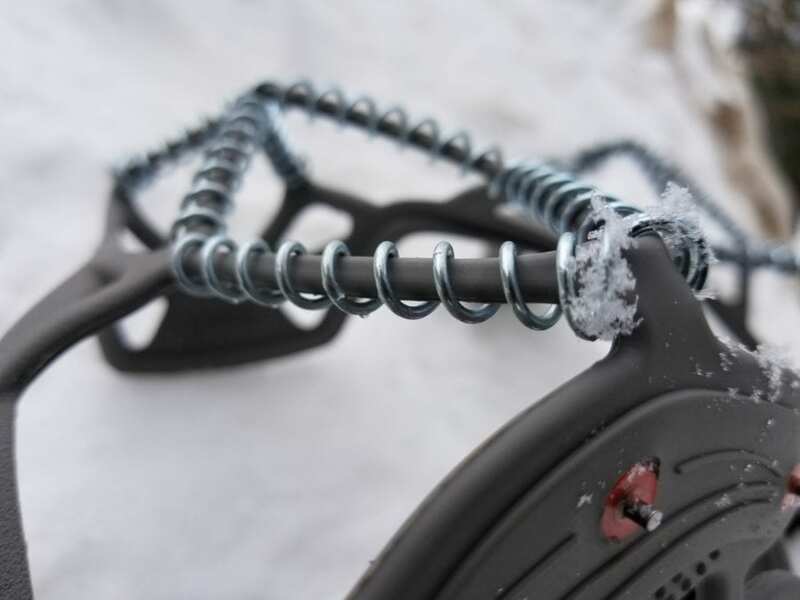 The Yaktrax gives you a great sense of security and stability when you are cruising along on top of sheets of black ice. 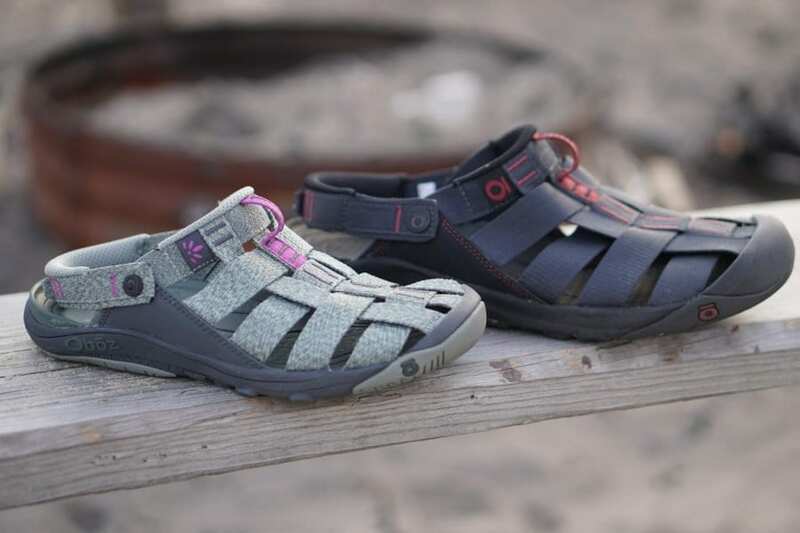 The one thing that surprised me is that it didn’t feel a lot different than running in my regular trail shoes. 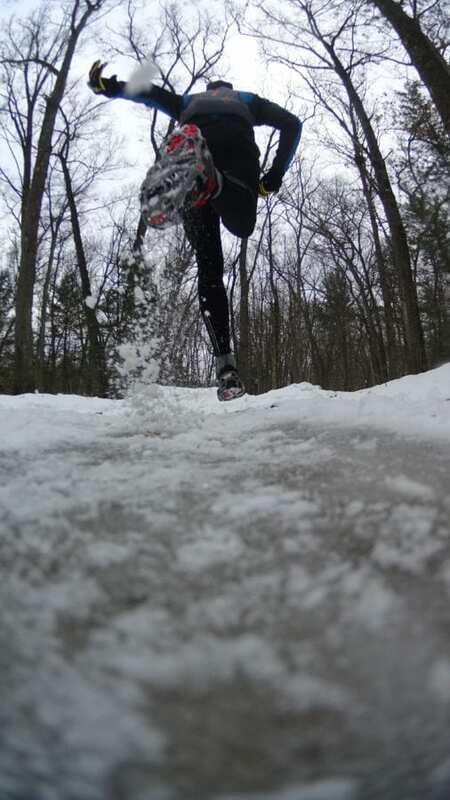 I still had ground feel and was able to increase and decrease my pace without having to be cautious of slipping. 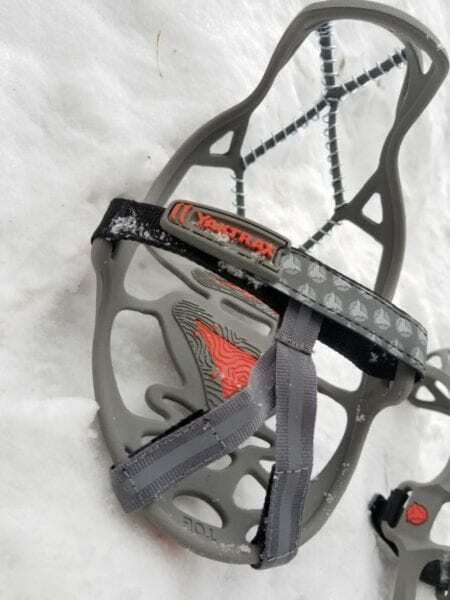 Because of their weight and secure fit, the Yaktrax don’t leave you feeling like you have some foreign object attached to your shoe. 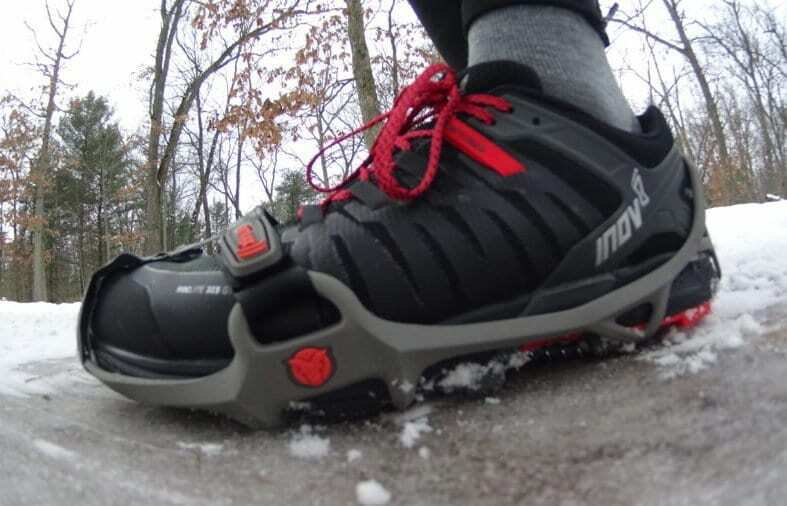 The Yaktrax Run gives superb traction on ice and packed snow allowing you to get out there and get running during the winter. 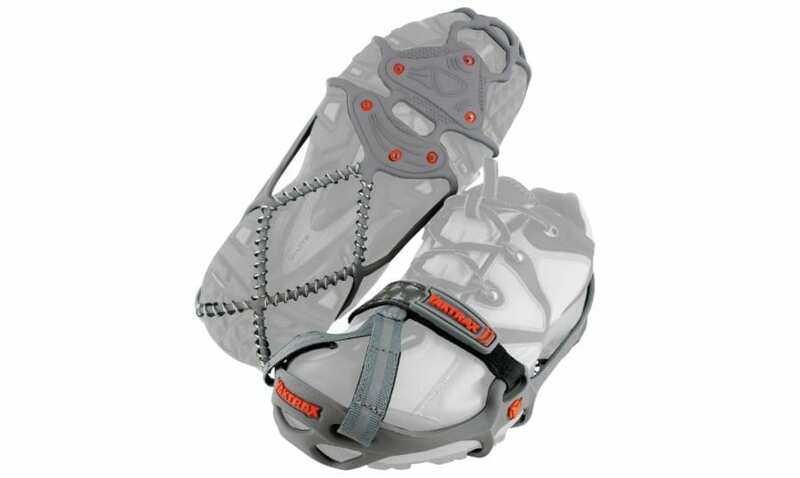 On Yaktrax’s website, it states that they can be worn in temperatures as low as -41 degrees Fahrenheit. What happens after that is anyone’s guess. 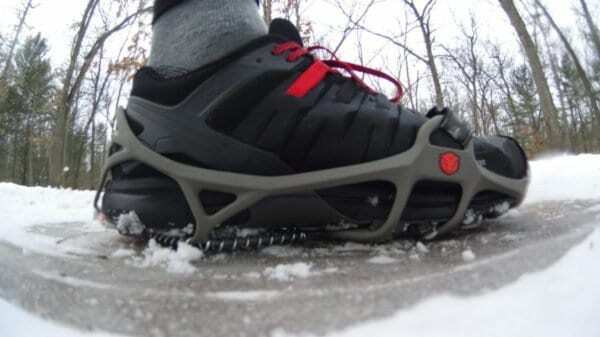 One thing that I will mention about the traction system is that these are intended for ice and packed snow. Taking these out on pavement, concrete and gravel will shorten their life span rather quickly. 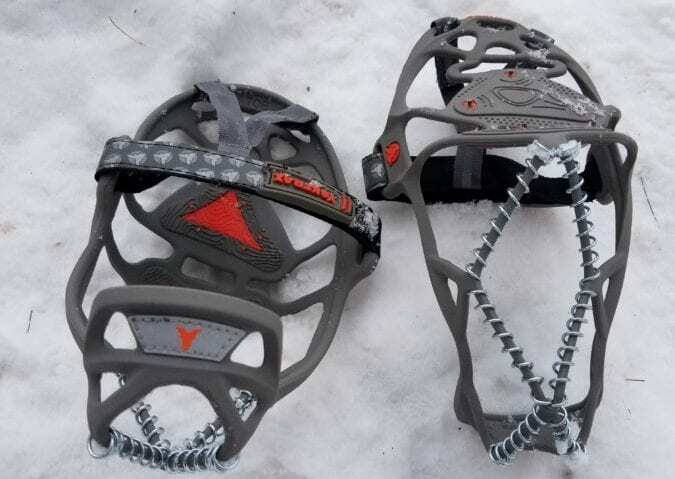 The Yaktrax Run incorporates an aggressive carbide steel spiked forefoot and steel coil heel combination that bites into the snow and ice, giving you the stability, mobility and traction you need to stay on your feet and stay safe all winter long. 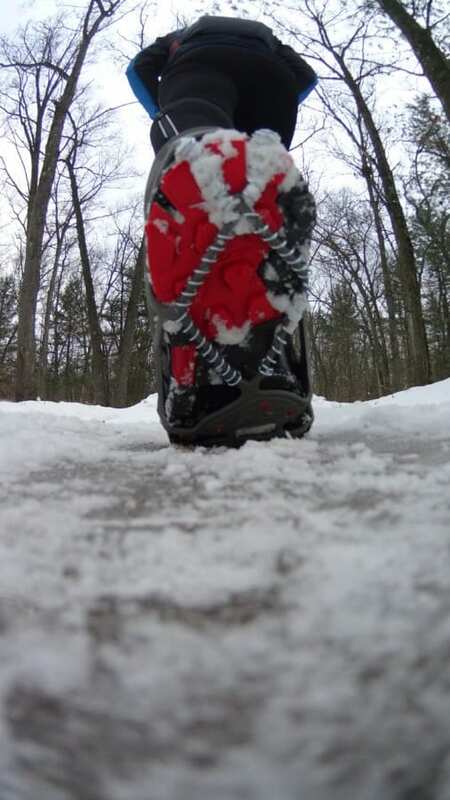 If you want to run sure footed on the winter ice, the Yaktrax Run are a great choice.